Chinese cyber intrusions. Russian spies. Domestic ‘liberations fronts’. Iranian hackers. North Korean nuclear threats. 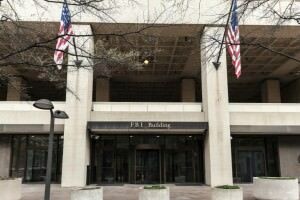 The National Security Branch (NSB) is a service within the Federal Bureau of Investigation [FBI] charged with denying, deterring and defeating these very real concerns. The National Security Branch (NSB) is responsible for protecting the United States from Weapons of Mass Destruction, Acts of Terrorism, and Foreign Intelligence Operations and Espionage. The NSB accomplishes its mission by investigating National Security threats, providing information and analysis to other law enforcement agencies, and developing capabilities to keep the nation secure. In response to a presidential directive and a recommendation made by the Weapons of Mass Destruction (WMD) Commission to create a “National Security Service,” the NSB was established on September 12, 2005, combining the missions, capabilities, and resources of the FBI’s Counterterrorism, Counterintelligence, and Intelligence elements under the leadership of a senior FBI official. In July 2006, the NSB created the WMD Directorate to integrate components previously distributed throughout the FBI. The NSB also includes the Terrorist Screening Center [TSC], which provides crucial, actionable intelligence to state and local law enforcement, and the High-Value Detainee Interrogation Group, an inter-agency body whose members collect intelligence from key terror suspects designed to prevent attacks against the United States and its allies. Combining the FBI’s National Security workforce and mission under one umbrella enhances the FBI’s contribution to the national intelligence effort and allows the Bureau to leverage resources with the U.S. Intelligence Community (IC), with their federal, state, local, tribal, private, and foreign partners. Once a new agent has completed Special Agent Training at the FBI Academy in Quantico, Virginia, and has completed the mandatory probationary period, he or she can elect to go into the National Security Branch, or go into the “Criminal” part of the Bureau and focus on crimes such as organized crime, narcotics, civil rights violations, fraud, and violent crime. When an FBI agent chooses the “National Security” career path, assignments characteristically follow in the disciplines of Counterintelligence, International Terrorism, Domestic Terrorism, Weapons of Mass Destruction, and Cyber-Counterintelligence. Directory members can be extremely helpful to anyone seeking information and/or requiring a professional opinion concerning the National Security Branch. Looking for an expert concerning the National Security Branch—visitors need only use the website’s search feature, entering the appropriate skill and geographical area of preference to locate a retired FBI agent, and thereafter make contact, using the information provided. Retired FBI Agents and Analysts interested in securing a Directory listing and/or a personal email address need only submit a brief online application to join the website.